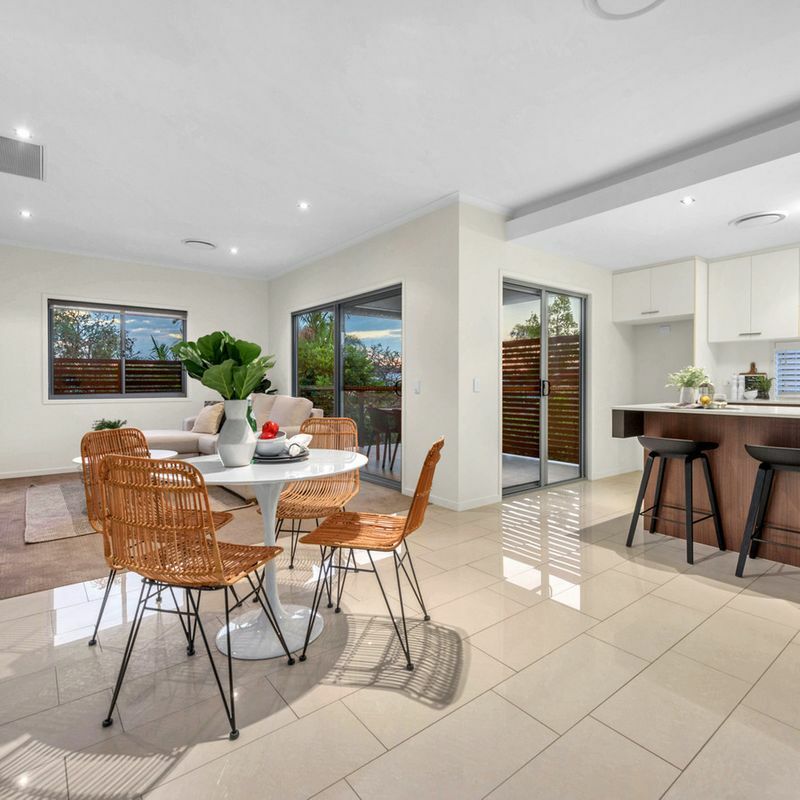 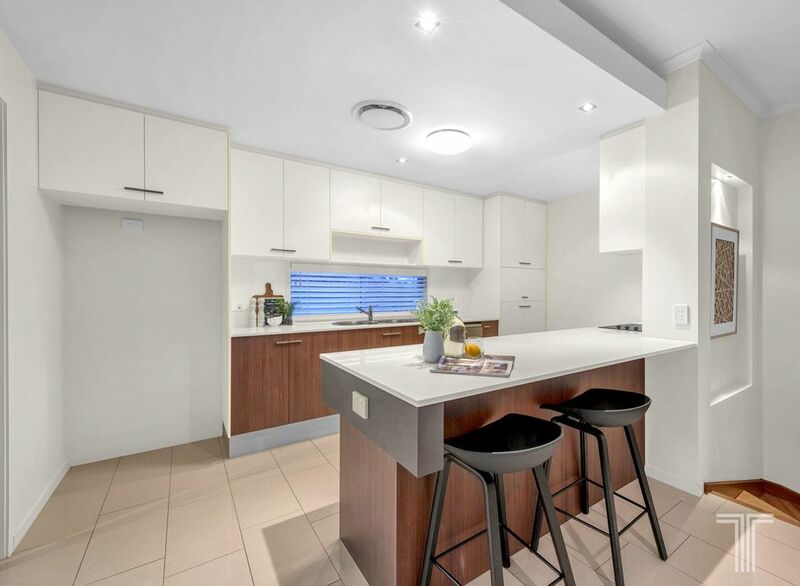 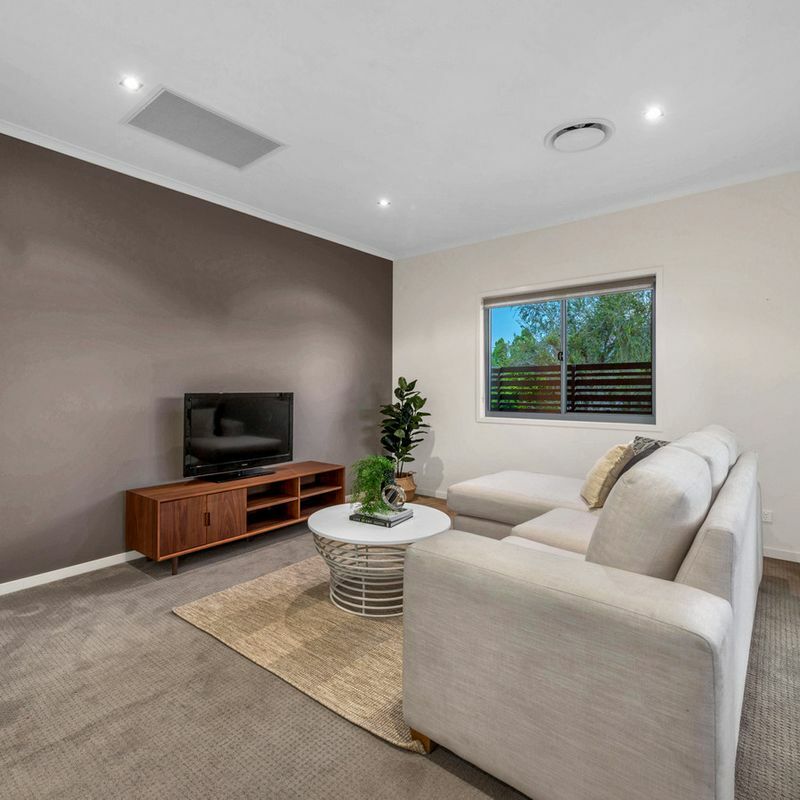 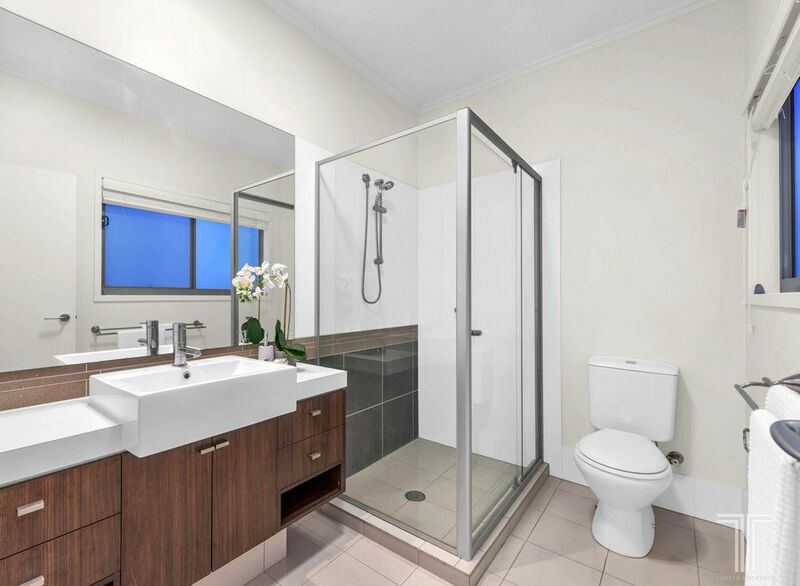 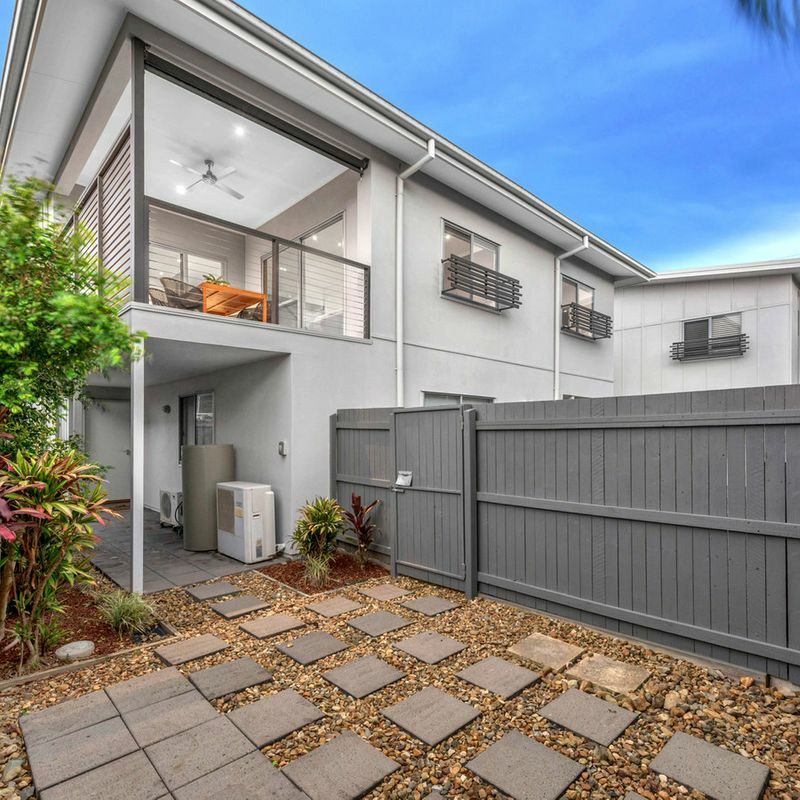 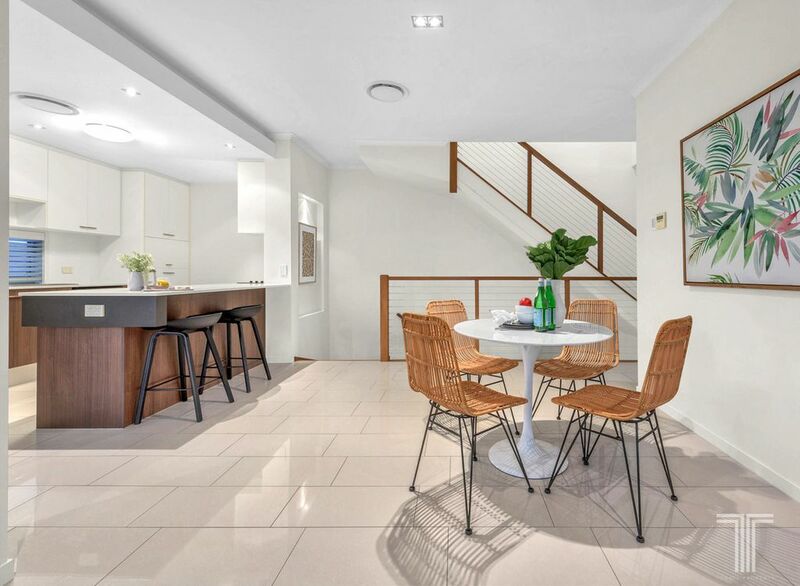 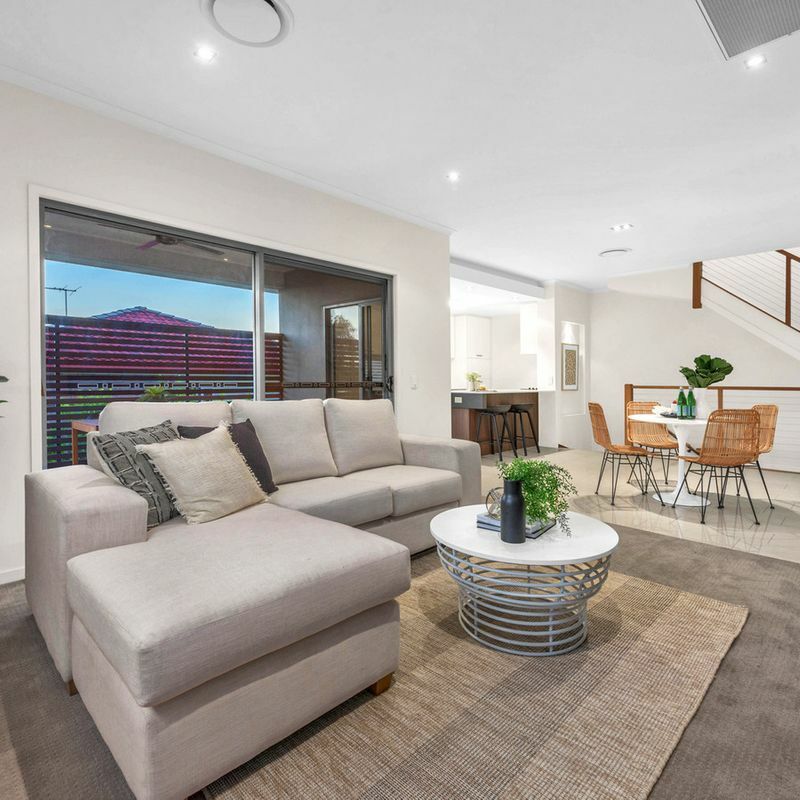 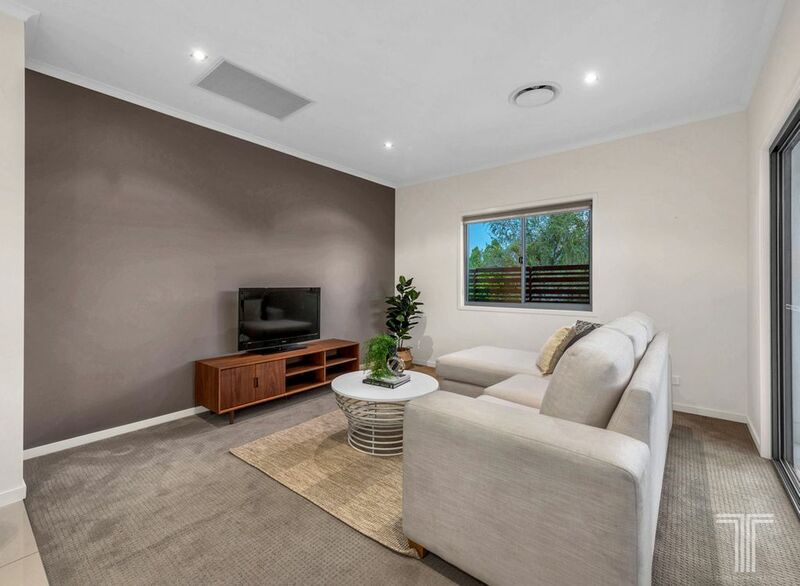 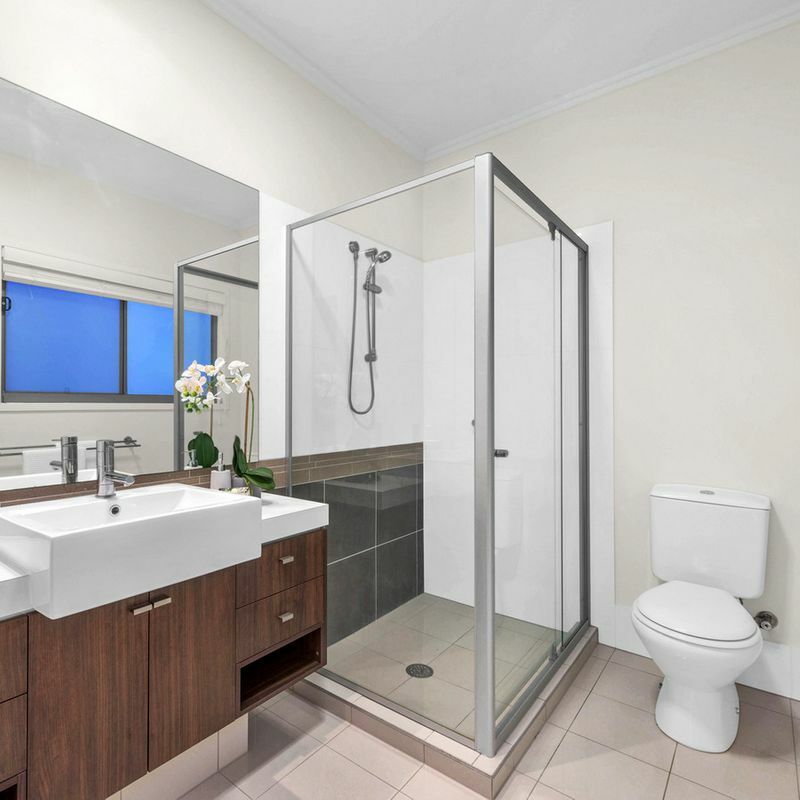 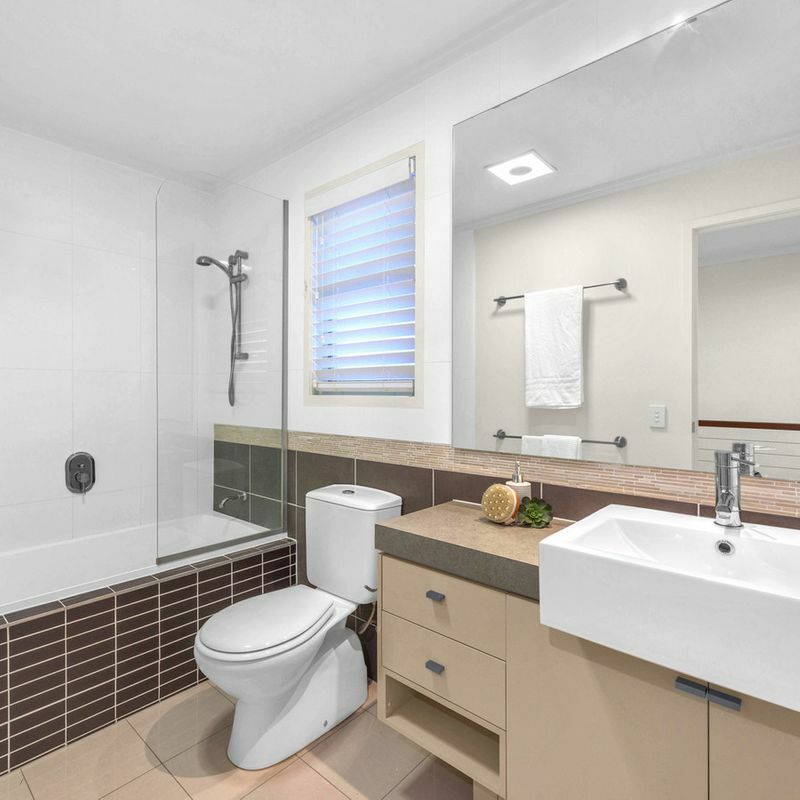 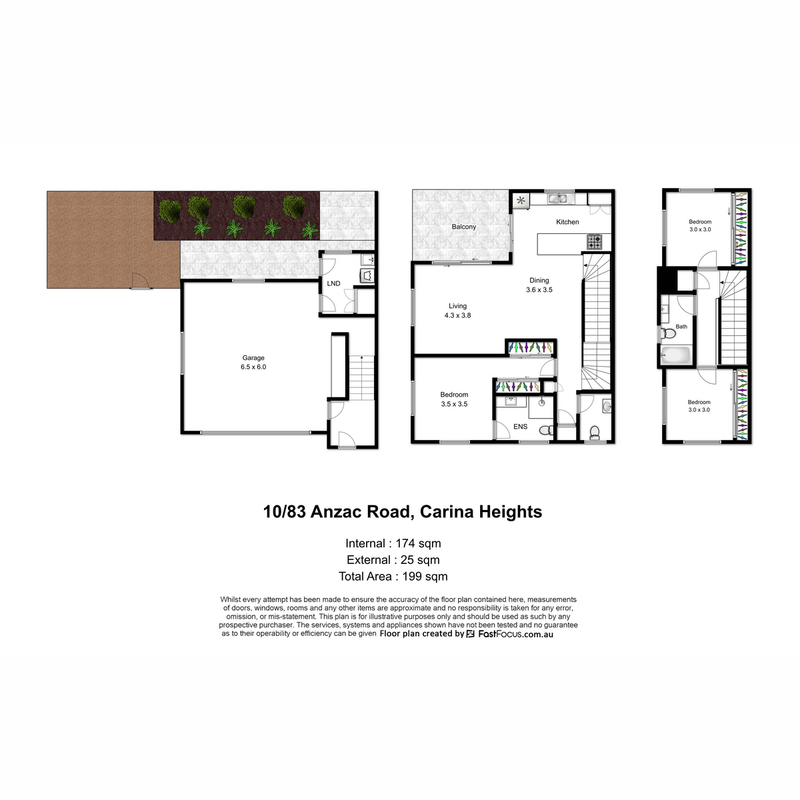 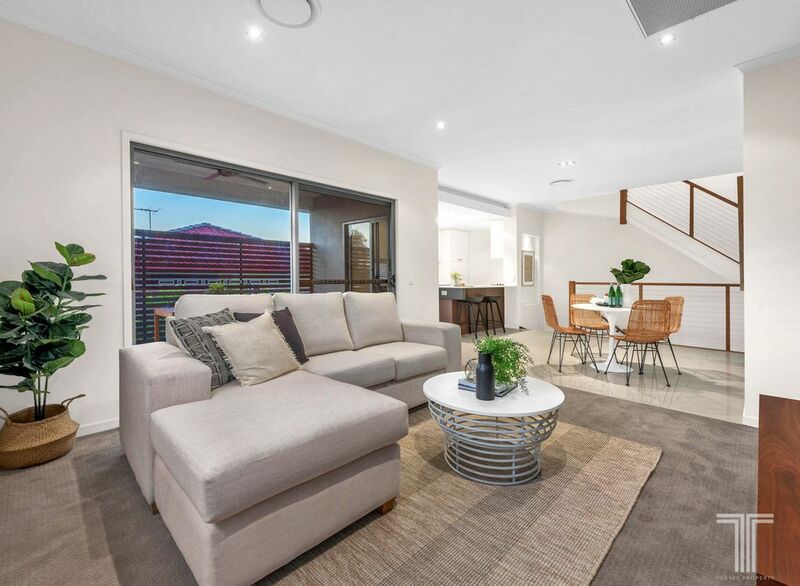 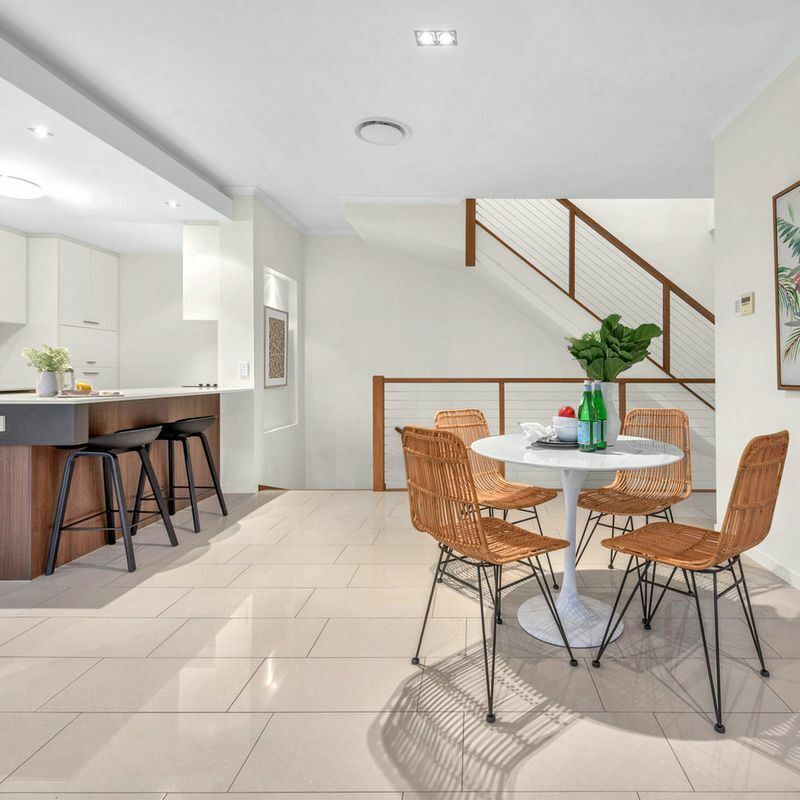 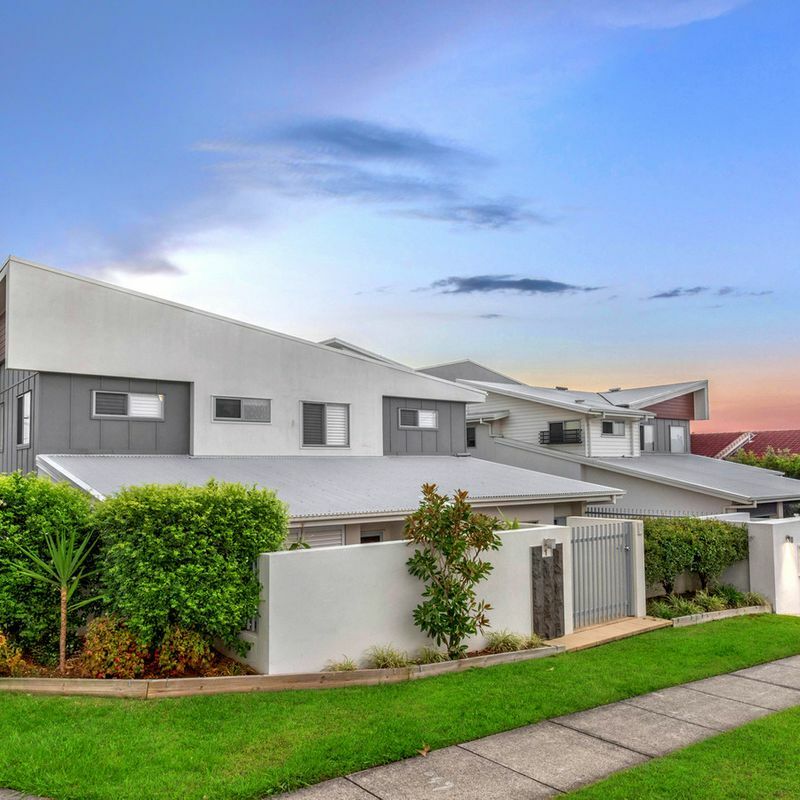 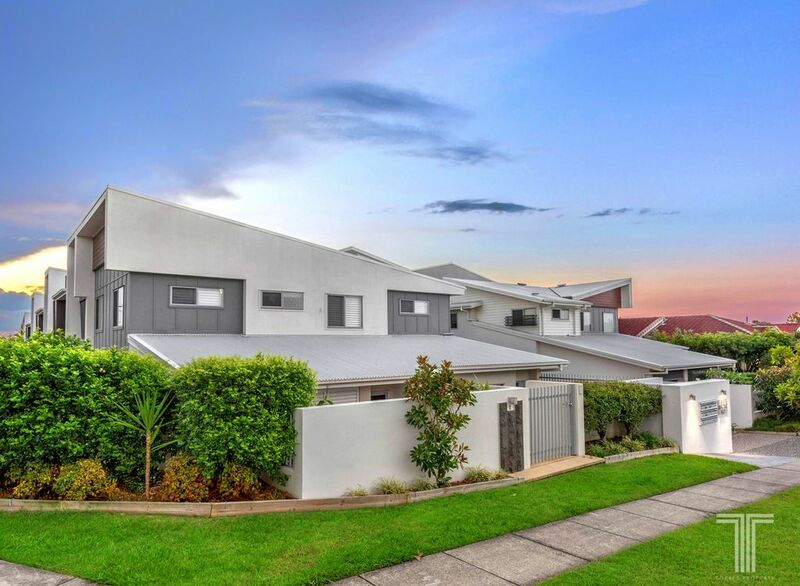 Spanning three well-designed levels and located in a private complex of 10, this spacious townhouse offers stylish living only 3 minutes from Westfield Carindale. 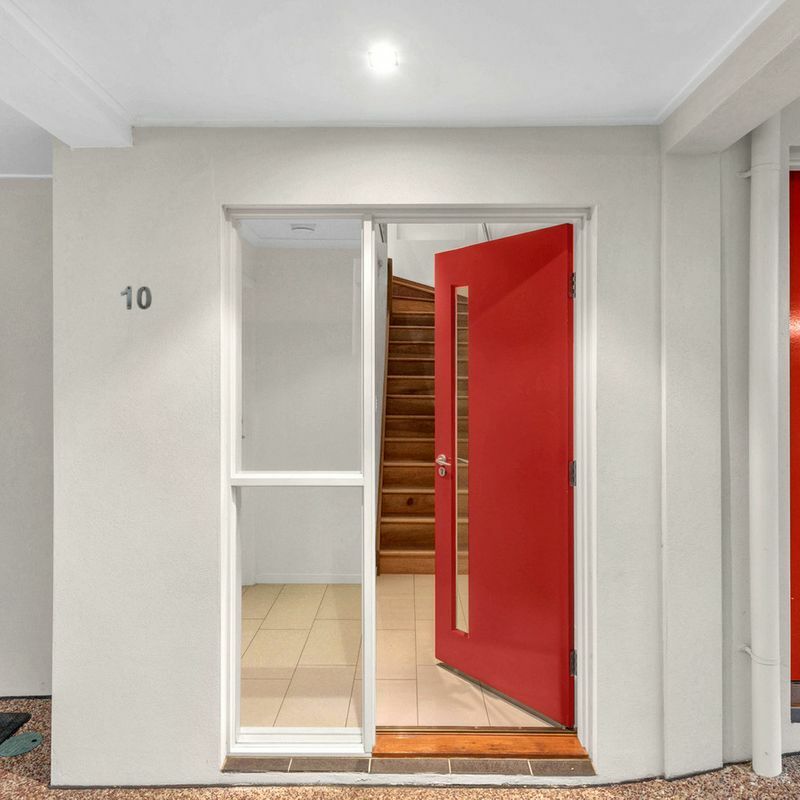 Entering inside, the timber staircase leads you into the home’s main living level. 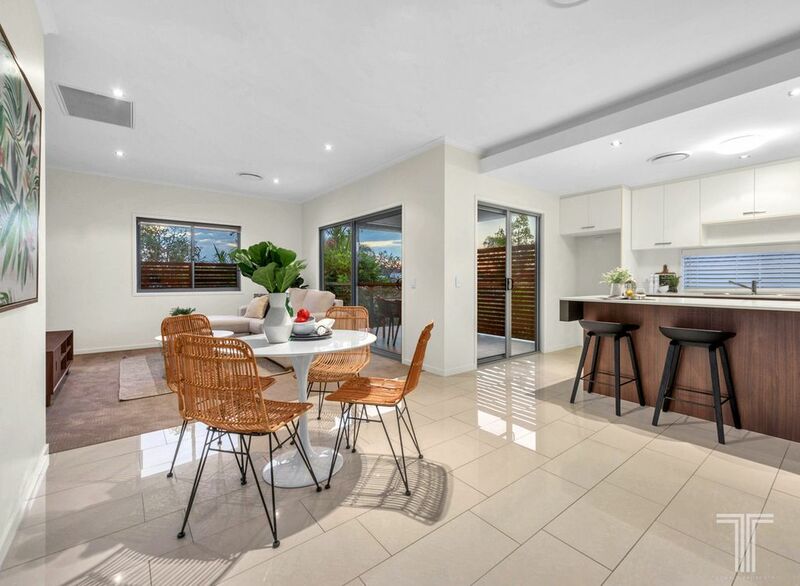 Filled with natural light from large windows and sliding glass doors, this open living space features a carpeted lounge, relaxed dining area and sleek, modern kitchen. 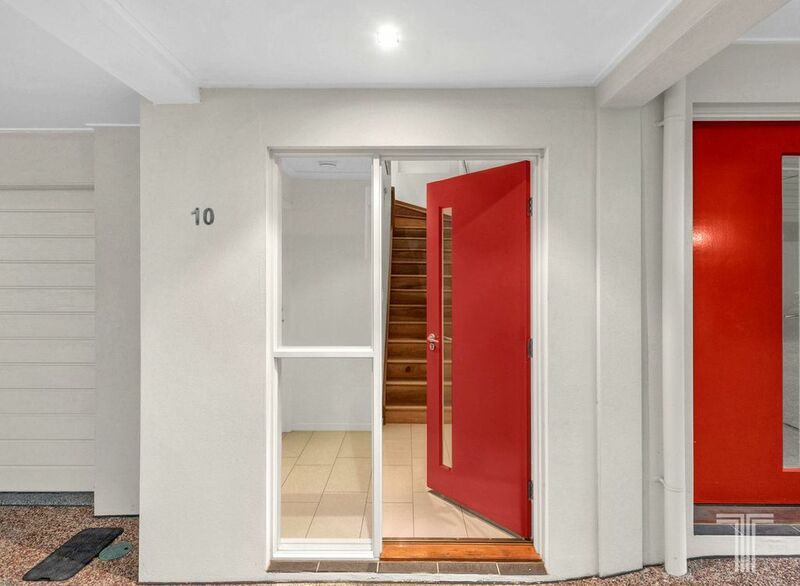 Extending via sliding doors onto the rear balcony with outdoor fan, this covered entertaining space boasts timber slats for privacy and elevated outlooks. 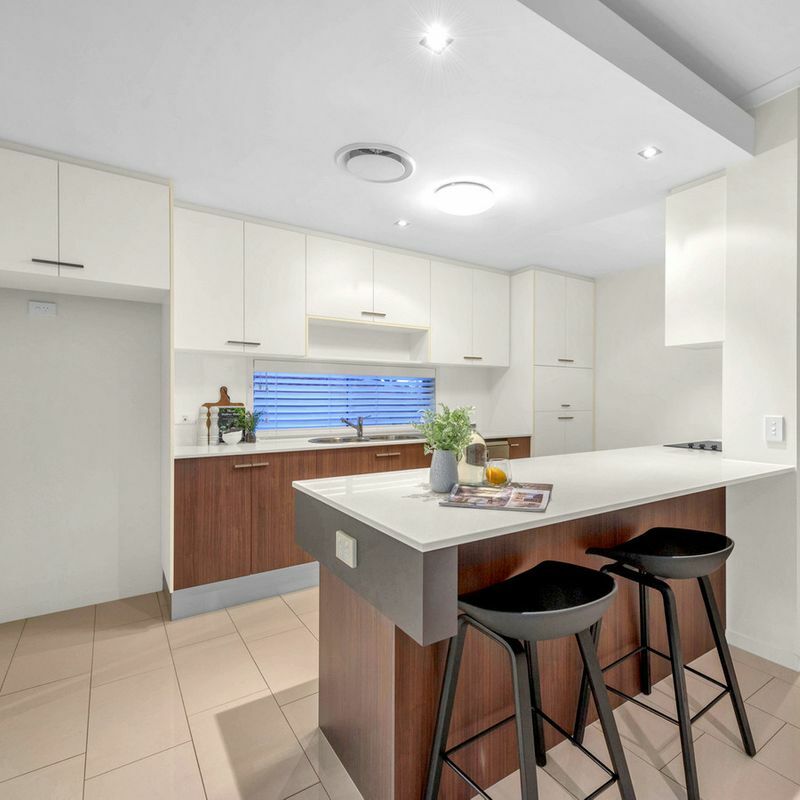 Thoughtfully designed with an abundance of cabinetry, the functional kitchen is adorned with quality Caesarstone benchtops, breakfast bar, induction cooktop and Blanco oven and dishwasher. 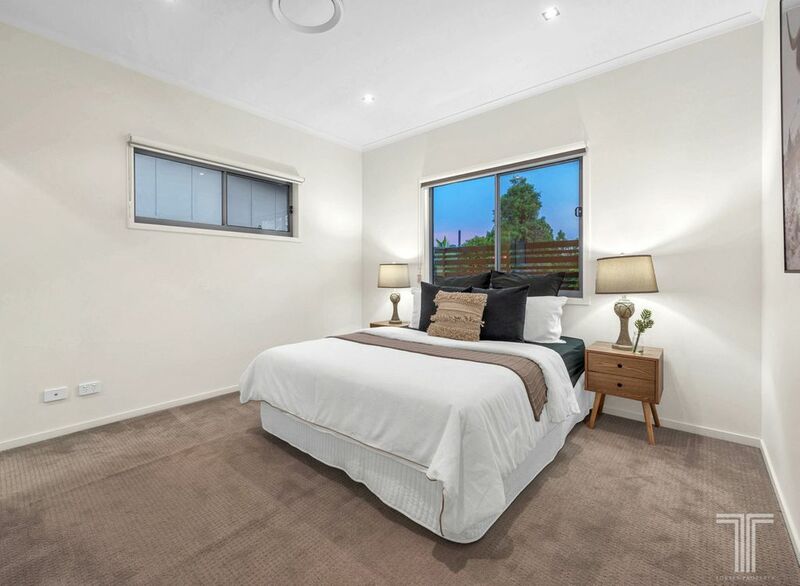 Completing this main living level, the master bedroom is generously sized and enjoys double mirrored built-in robes and ensuite with shower, toilet, vanity and storage space. 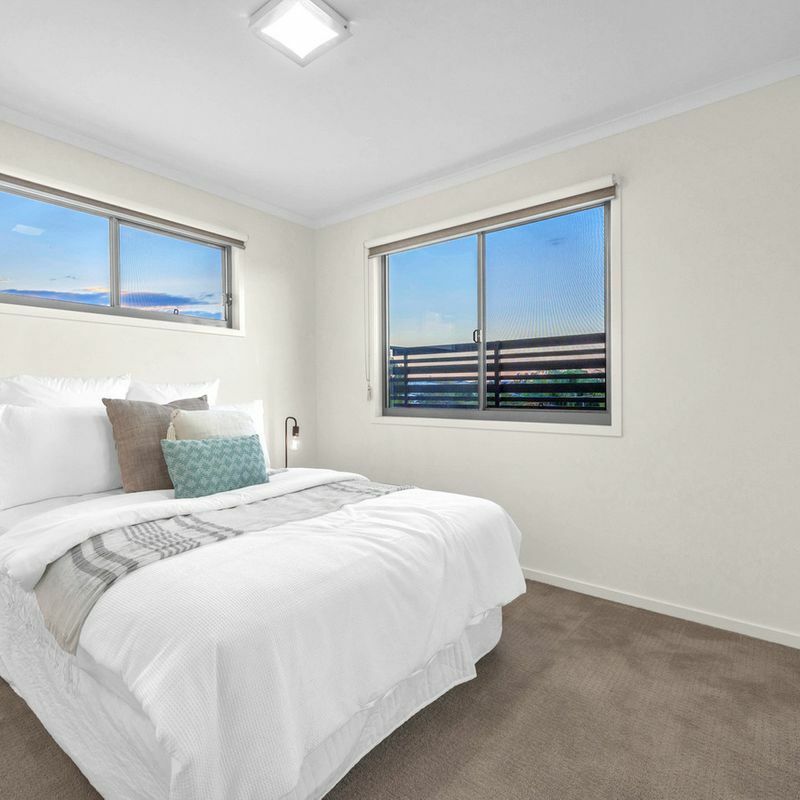 On the upper level, a further two bedrooms both feature built-in robes, carpeted flooring and elevated views via large picture windows. 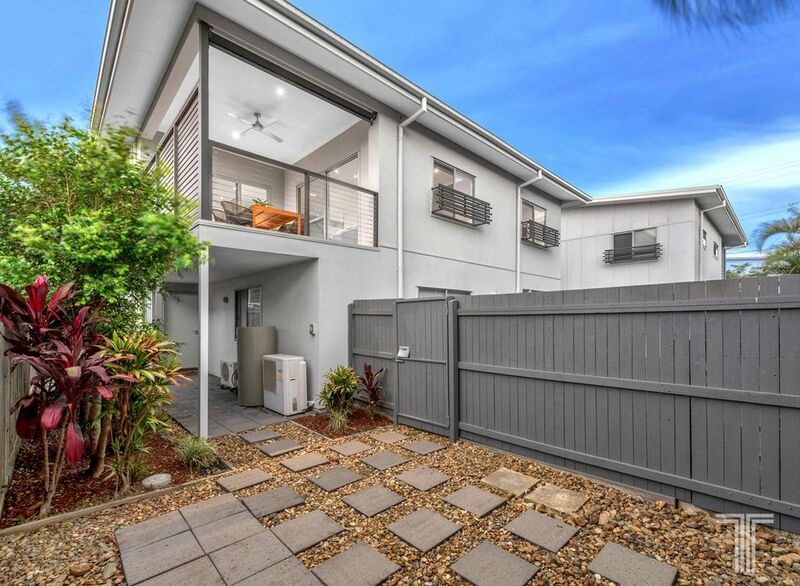 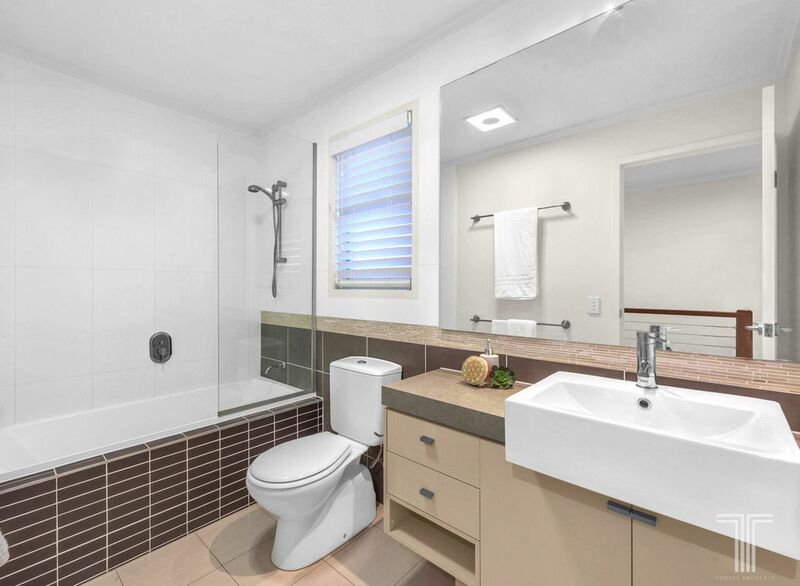 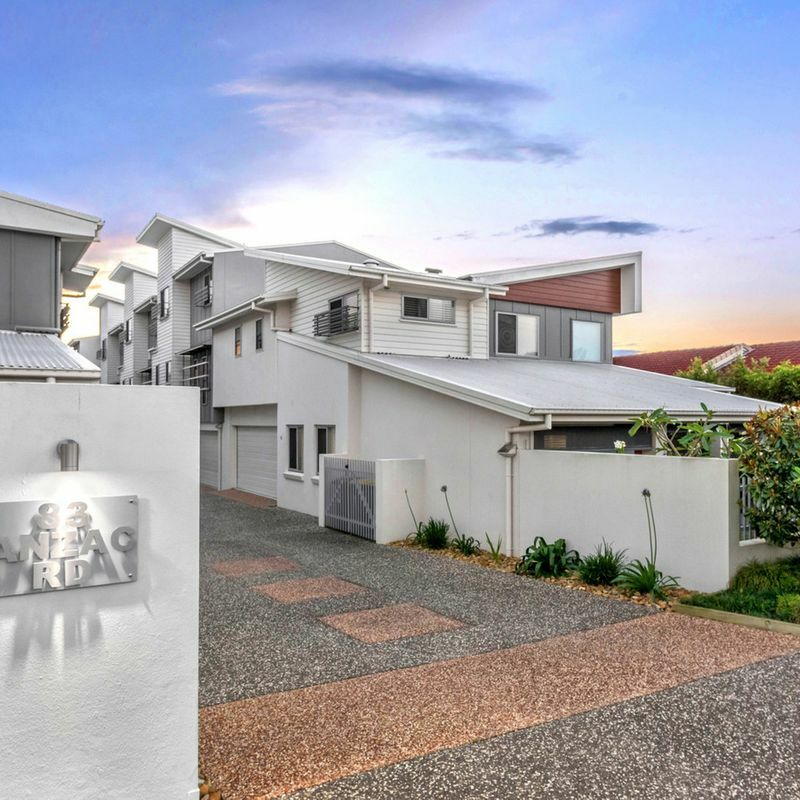 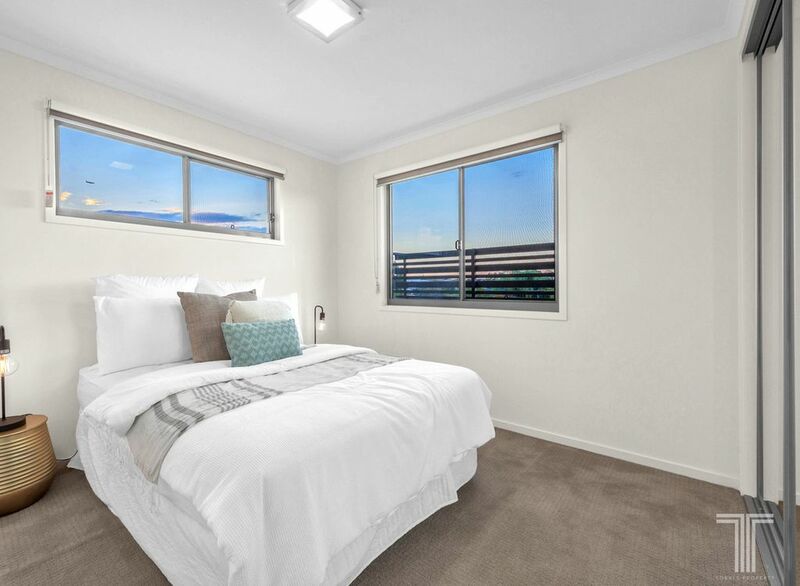 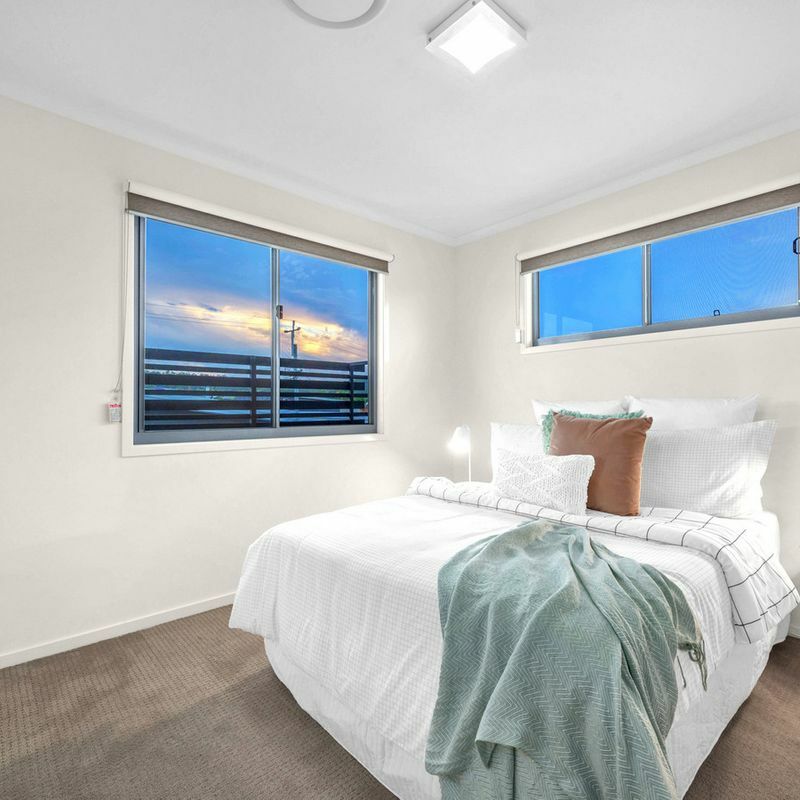 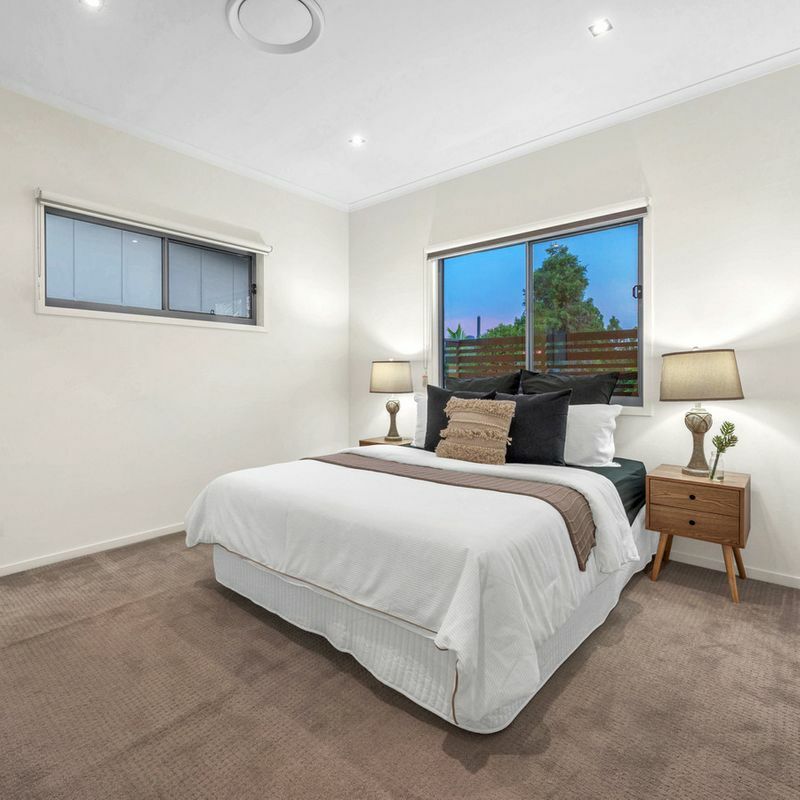 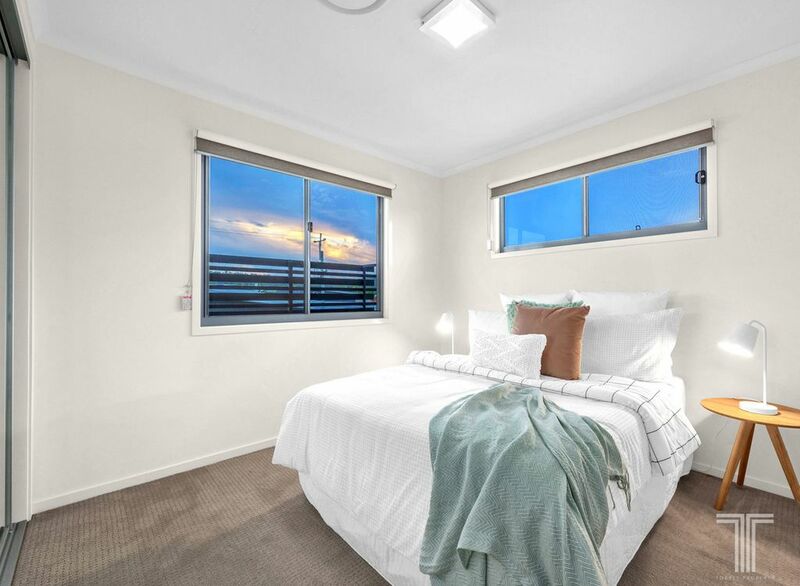 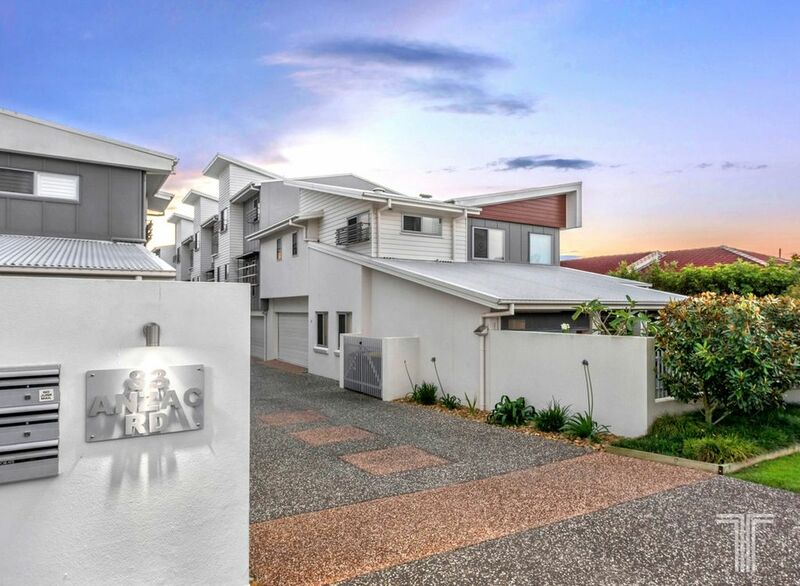 Located in a quiet complex just metres from Anzac Road Park and bus stops, this townhouse enjoys the convenience of Westfield Carindale and Whites Hill State College just 3 minutes away, CBD 20 minutes away and the Gateway Motorway within easy reach for trips up and down the coast.